The right tools can revolutionise digital marketing campaigns, setting them up to be seen by the target audience, engage and convert the audience, and generating maximum return on investment (ROI). Regardless of the specific topic or goal of your next digital marketing campaign, the tools featured in this guide can be pivotal to enhancing the success of your campaign and working towards optimal results. SEO tools can provide powerful insights essential to choosing the right keywords and properly optimising content, websites, and campaigns. As a result, these tools can be integral to getting good rankings and quality traffic. Additionally, SEO tools can uncover important information that can impact optimisation, like backlinks, bounce rates, and site loading times. Advanced Web Ranking – This tool generates on-demand, customisable reports on ranking data, showing both daily and weekly rankings for desktop, mobile and local searches. Advanced Web Ranking comes with additional features, from developer API and SEO reporting to localisation, and more. It’s available for a 30-day free trial, and monthly subscription fees start as low as $49 per month. Effectively, this tool can reveal opportunities to refine and improve digital marketing campaigns. Ahrefs - This tried and tested SEO tool is touted as one of the best in the industry. Featuring tools to view organic search traffic for any site, and mechanisms to give you the most used/pertinent backlinks, Ahrefs can help you put your site on the map by giving you insight into industry trends, and competitor strategies. Week-long trials start at $7, and their monthly plans start at $99. BuzzSumo – This backlink tool analyses the number and quality of backlinks on any given site. Starting at $79 per month, this tool can help identify good v poor quality backlinks. This gives you and your company insight into which backlinks should be avoided, which pages need more or better quality backlinks and other important insights. Google Keyword Planner – As a free tool available through Google Ads, the Keyword Planner is a search tool that shows the performance of different keywords and phrases associated with a specific topic. This tool can also generate historical results, showing how certain terms have been searched in the past. This can be essential in the planning stages of digital marketing campaigns. Google Search Console - Another free tool through Google, Google Search Console gives you the power to examine how your site ranks among competitors in Google Searches. By simply inputting any URL, you can learn what searches bring customers to your site, ensure Google has the most updated information displayed about your site, and be alerted when fixes or updates should be performed. Google Search Console can make all the difference in ensuring your site stands out from the rest. Moz - Moz features two distinct products, Moz Pro and Moz Local. Moz Pro gives you insight into your site traffic, SEO rankings compared to your competitors, site auditing, and suggestions for optimising landing pages with keywords and backlinks. Moz Local helps smaller businesses or businesses with fewer locations to distribute business listings, optimise local search engine ranking and can help you identify what marketing strategies are the most successful. Moz offers a 30 day free trial for their Pro package. SEMrush - This tool helps you to optimise your SEO by showing you methods used by other companies in your field to optimise their own SEO - and they happen to be one of our favourites. You can learn more about competitor ad strategy, the top keywords for your given industry, examine reporting on your site traffic, compare domains and websites, and so much more. SEMrush starts at $99 a month for the ‘Pro’ plan. Yoast – This SEO tool is a WordPress plugin that analyses a page of content, explaining how well optimised it is and where there may be room for improvement. As such, this can be helpful when publishing new content pages, revealing how final refinements can be made to assure proper optimisation. Yoast offers a free program and a premium version for $89 a year. Tools for paid advertising can be highly useful when it comes to winning bids for Google Ads (formerly AdWords), as well as when developing targeted, optimised campaigns. ClickScore – Offering free reports, ClickScore is a tool that examines Google Ads accounts and budgets to uncover performance and quality of keywords, as well as to reveal budget-burning keywords, how to optimise the landing page experience, how to increase conversions and much more. Google Trends – This free analysis tool shows trends in how and what people are searching, making it easier to determine the best time to launch different types of digital marketing campaigns and position them for success. SpyFu – This ad tool lets users access and download a list of their competitor’s most profitable keywords in terms of paid and organic search. Consequently, this tool can uncover eye-opening insights about what your most successful competitors are doing – and how you may be able to replicate their success. Prices start at $33 a month. WordStream – WordStream is an analysis tool for paid online advertisements, detailing everything from quality scores and click-through rates to impression shares, long-tail keywords, wasted spending and more. As a result, WordStream can be effective at highlighting opportunities to improve campaigns, where ad investments may be falling short and how a given campaign’s metrics stand up to best practices. Pricing starts at $264 per month (without bundling) after a free trial. 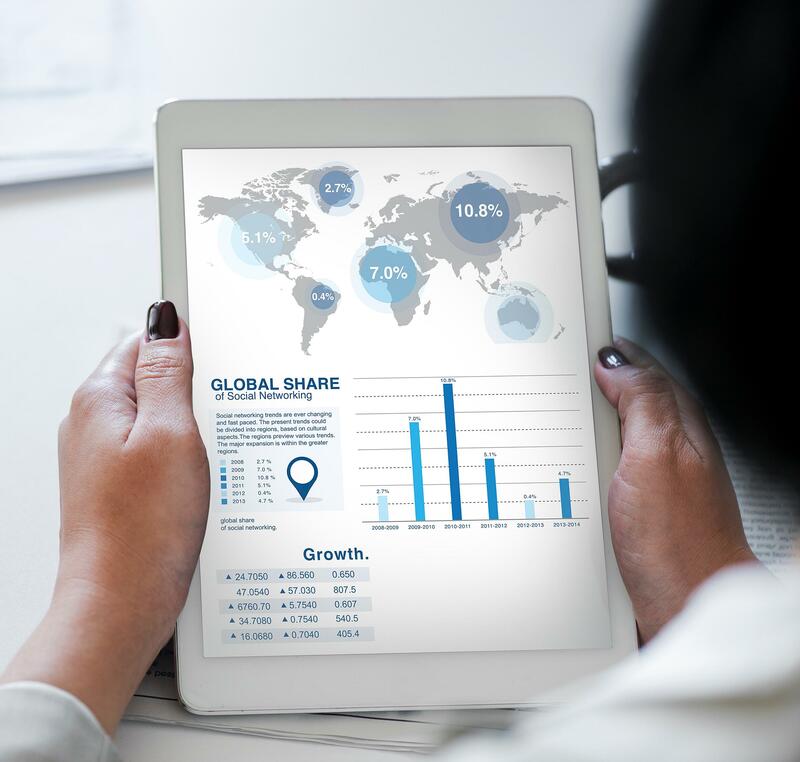 Analytics tools can generate data and reports showing key metrics regarding anything from websites, digital marketing campaigns, and performance to ROIs, customer behaviours and more. Google Analytics – This free, web-based analytics tool shares essential data about website traffic, uncovering important data regarding how different segments of an audience interact with that site. Hotjar - Hotjar is a heatmapping solution that gives you a visual representation of how users interact with your site. This allows you to actually see where visitors to your site are clicking most, when and where they scroll, what part of your website loses the most visitors, and much more. Hotjar offers a 15-day free trial, with post-trial prices starting at $89 a month. HubSpot – HubSpot’s analytics software provides a central location for measuring the performance of an entire marketing funnel. It reveals key insights about everything from website performance and the customer lifecycle to the performance of individual landing pages, blogs, emails and more. HubSpot also integrates with heatmapping tool Lucky Orange, a solid Hotjar alternative that you may wish to consider. Kissmetrics – This analytics tool generates findings on website performance and products, as well as user behavior and engagement. As such, it can be effective at boosting conversions, improving engagement and growing customer retention. Kissmetrics can be used to discover important findings on various aspects of digital marketing campaigns, including website, social media, ad campaigns and more. Woopra – Offering real-time analytics, this tool provides important details about the behaviours of individual visitors to a website. It is intended to give the answers marketing teams need to make smarter, data-driven decisions quickly. Social media and blogging tools can be incredibly helpful to scalability, managing multiple sites and properly optimising the content distributed via social media and blogging platforms. 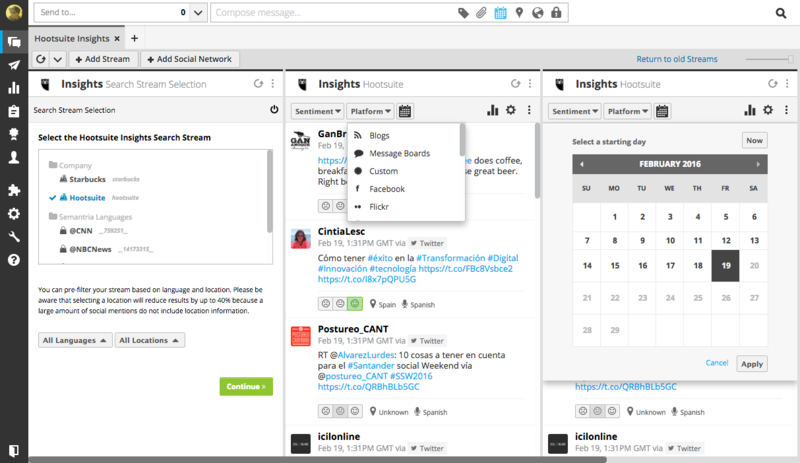 HootSuite – This dynamic social media management platform lets users create, schedule, manage and analyse posts across various social media platforms, including (but not limited to) Facebook, Google+, Twitter, Instagram, and LinkedIn. Available for free 30-day trials and with plans priced as low as $29 per month, HootSuite can transform and effectively scale social media marketing campaigns. Sprout Social – This robust social media management tool includes features for everything from social listening and publishing to social engagement and analytics. Also available for free 30-day trials and with plans starting at $99 per month, Sprout Social is effective at showcasing valuable content via various social media platforms, nurturing relationships and mining essential social data. Answer The Public – This free dynamic tool lets users search a topic to see the exact phrasing, questions, and language people used to search for a topic. Consequently, this tool can be very helpful in the planning stages of blog writing, providing some key insights into how to best shape specific elements of a blog. 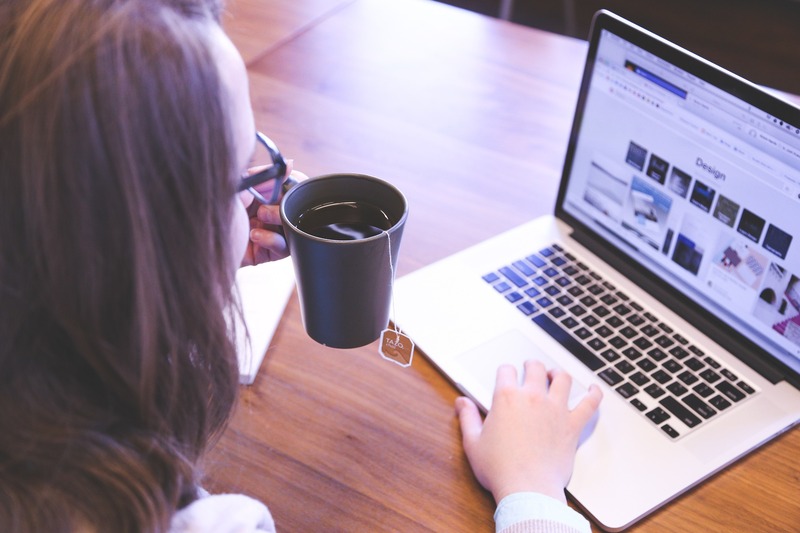 Tools for email marketing are essential to crafting compelling campaigns, analysing campaign performance and identifying where improvements can be made in order to boost open rates, click-through rates, and conversions. Active Campaign – Providing “true email marketing automation,” this tool empowers users to automatically send personalised emails, based on client actions, as well as follow-up emails. It also shares tips for improving calls-to-action and segmentation and targeting of the audience, as well as features to dig into data and really understand what is and is not working. Constant Contact – Offering “powerful email marketing made easy,” this tool couples email drafting and transmission features with robust, real-time analytics. As such, it can be helpful in identifying who opens which types of emails, and how to best appeal to a variety of target audiences. iContact – This email marketing tool offers automated workflows, infinite template options, responsive inbox testing, and unlimited subscriber lists. Available for free 30-day trials, iContact is another great option for managing, scaling, and refining email marketing campaigns. Mailchimp – This powerful, user-friendly email marketing tool lets users craft the text and visual content for different email campaigns, schedule campaigns to be sent out and review campaign performance. Free options are available for a limited number of subscribers, and additional features are available (like sending physical postcards). For an all in one option, HubSpot is the answer! Their top of the line software offers features to optimise every aspect of your digital marketing strategies. SEO - HubSpot’s SEO tracking and optimisation software helps you develop a content strategy to ensure every online marketing campaign is targeted and appealing to your audience, help you to manage leads, designs Call to Actions, and so much more. Paid Advertising - Designed to help you better understand which paid advertising campaigns work best, this software helps you save money in the long run by minimising unnecessary ad spending and maximising advertisement success. Analytics - Throughout their software, HubSpot offers features for tracking which organic keywords customers have responded to, campaign stats, content response, and more. Social Media - This software can help you navigate your social media by scheduling posts, ensuring uniformity across platforms, connecting you to new customers, and helping you to identify keywords. Blogging - Akin to their social media software, HubSpot’s blogging software can help you plan content to best appeal to your audience. This will help you get continual traffic, and generate more leads. Email Marketing - HubSpot offers several tools to help with your email marketing, including email scheduling, email tracking, and email templates. All of these can help you better connect with clients and potential clients by creating uniformity in your email correspondence, ensuring emails are opened by sending that at the optimal time, and knowing how successful a given email campaign was based on data analysis. HubSpot provides great value for money. It is the software platform for business growth. There are tools you can start to use now for free, and then upgrade as you grow. There are different pricing packages available depending on your needs. Starting with entry level Basic tools, progressing to Pro - the fully integrated solution for professional marketers and then to Enterprise which is the advanced version for marketing and sales teams. You can use one, a selection or all of their products and only have to pay one bill, making your finances much simpler. New tools are regularly being developed and rolled out, so revisit the tools you are using every 6 to 12 months to determine if a newer tool may be better suited for your needs and if it can save you even more time while generating success. Subscribe to our blog for all the latest info! If you’re new to the world of digital marketing tools, start slow. Don’t try to dive into too many things at once. Instead, give yourself to the time to learn how to use each new tool. That way you will get the most out each tool you do invest time or money in. The right combination of digital marketing tools can free up essential resources – like time and staff – while helping your company engage with potential customers and turn them into returning customers. The exceptional team at Refuel is ready to partner with you to grow your customers, business and profits. Call 1300-699-742 or contact us online to find out more about our strategic, innovative marketing solutions.